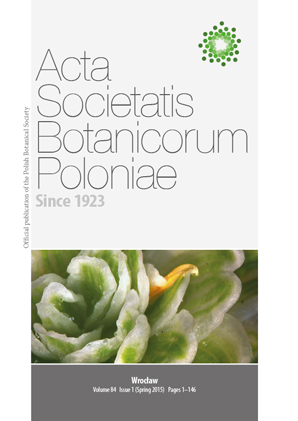 On the cover Galanthus nivalis 'Flore Pleno' resembles to some extent the floral mutant agamous of Arabidopsis thaliana. Its multiplied perianth contains, however, some remnants of generative structures. The male, pollen producing stripes of sporogenic tissue can be seen on the adaxial surface of some inner perianth parts. The trimery of the outer parts, typical for the snowdrop, is often replaced by the teramery or even pentamery, which makes 'Flore Pleno' an attractive example of meristic variation.